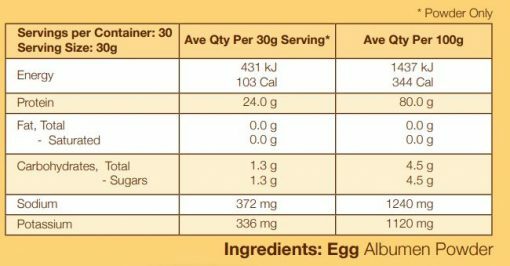 Egg Albumen is the ultimate lean protein containing both 8 essential amino acids and also non-essential amino acids required for protein synthesis in muscles. This product is ideal for those looking for a more lean protein supplement. 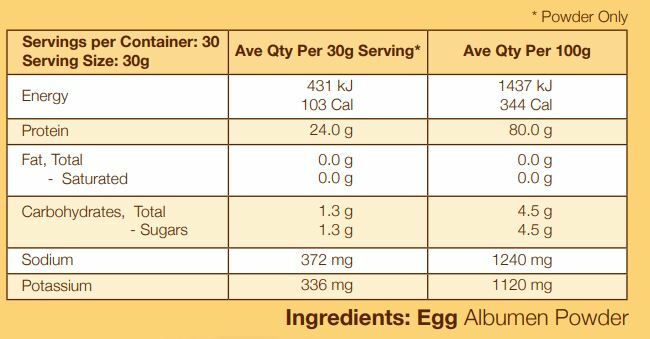 About 1 and a quarter scoop is equivalent to eating 8 eggs at once. 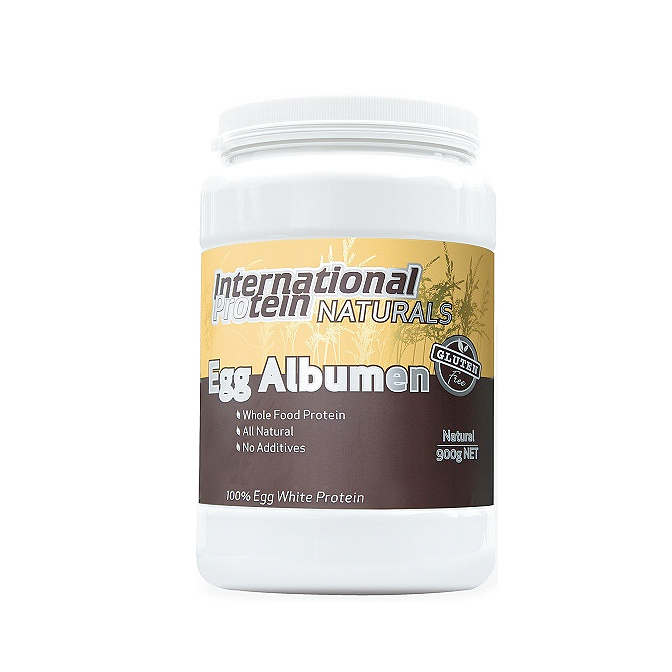 This packed product is a 100% egg white powder supplement crammed with amino acids to ensure you reach your lean and mean fitness goals.